Mango is a fantastic flavor for cocktails and it comes to life in a Mango Margarita. This is a perfectly refreshing summer cocktail that comes with options. You can make it with either fresh mango or your favorite mango liqueur and choose to shake it or blend it. Any great Mango Margarita begins with tequila. Choose a decent blanco tequila or, if you're in the mood for an upgrade, a slightly aged reposado. You will also want to have fresh lime juice on hand for either recipe because it adds a fantastic zing to the drinks. Once you have those two elements, it's time to choose your recipe. 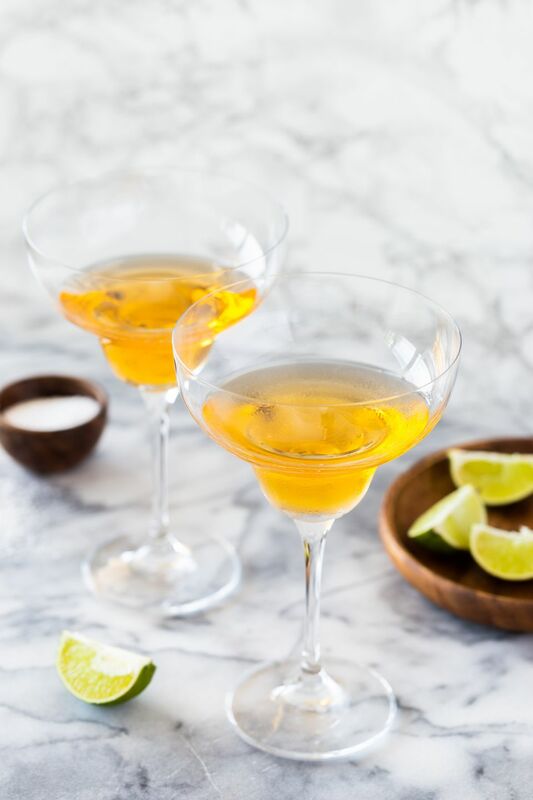 The first is a simple three-ingredient drink that adds mango liqueur to the tequila and lime. This one is shaken and served up, making it a quick and fancy cocktail that's perfect for any occasion. Of course, frozen margaritas are a delight as well and mango just happens to be a perfect fruit for it. When you spy plump mango in the produce market, get out the blender and give the second recipe a try. The Mango Liqueur. Admittedly, mango is not the most common flavor for liqueurs, but there are some nice options available. One that comes highly recommended is Marie Brizard Mango. This has a refreshing fruit flavor and is just sweet enough to bring this margarita into balance. Rim the Glass. Adding a sugar rim to the glass is a fantastic idea for any margarita and it's very simple to do. To play off the mango, consider adding some contrast to the rim. A little cinnamon sugar it a great option and can be done by mixing equal parts of sugar and ground cinnamon. Another idea is to use something spicy like Tajin Fruit Seasoning, which we often use for the Tamarind Margarita. A Garnish and an Extra Kick. A slice of mango for a garnish is always a nice touch as well. You may also want to add a dash or two of hot sauce to either recipe to add a little kick. Mango is the perfect fruit pairing for spicy peppers, so if you're a fan of hot and spicy, give this a try. When you're in the mood for a fantastic frozen margarita that's just a little exotic, this Mango Margarita recipe is an excellent choice. This particular recipe makes two drinks, so be sure to share it with your friend. If you're feeling selfish, pour one drink and freeze the leftovers until your ready for the second round. To make the drink: Peel and dice 1 1/2 cups mango and chop them up a little more in the blender. Add 3 ounces blanco tequila, 1 ounce orange liqueur, 2 ounces fresh lime juice, 2 tablespoons sugar, and 2 cups ice. Blend until smooth then pour into two margarita glasses and garnish each with a lime wheel. If your margarita is too thick, add a little more of one of the liquids and blend again. Too thin? Toss in a few more ice cubes or mango chunks. Make these adjustments in small amounts until you get the perfect consistency for you. Fresh mangoes can be found year-round because different varieties from different countries come into season at various times. Yet, the time to find the best deals is typically in the spring. When this happens, feel free to preserve some for all of your summer margaritas. To freeze mangoes, cut each peeled fruit into cubes and lay them out flat on a baking pan. Cover with plastic wrap and freeze for 24 hours. Place these frozen mango cubes into a plastic freezer bag and store until needed. The beauty of this is that you can remove just as much mango as you need for each drink. You can also use fresh mango to make your own liqueur or muddle chunks into the shaken cocktail once they've thawed out.